With the holiday season upon us, we have found ourselves in the full swing of holiday shopping. Whether it be for family parties or the big events themselves, it seems like there is always a reason to buy a gift this time of year. Of course, the best reason to buy a gift for someone is because you love them and want them to feel special. My youngest son reminded me of this fact, just the other day. We were at Walmart to pick up some of the usual grocery items, when a single thought hit Levi like a ton of bricks. He looked up at me and in his most serious voice said, “I think we should get something for Emma and Teddy (our dogs). We haven’t bought anything for them for the holidays“. I could tell by the tone in his voice and the look in his eyes that we just had to get the pups a few of their favorite things, in order to fix this injustice. 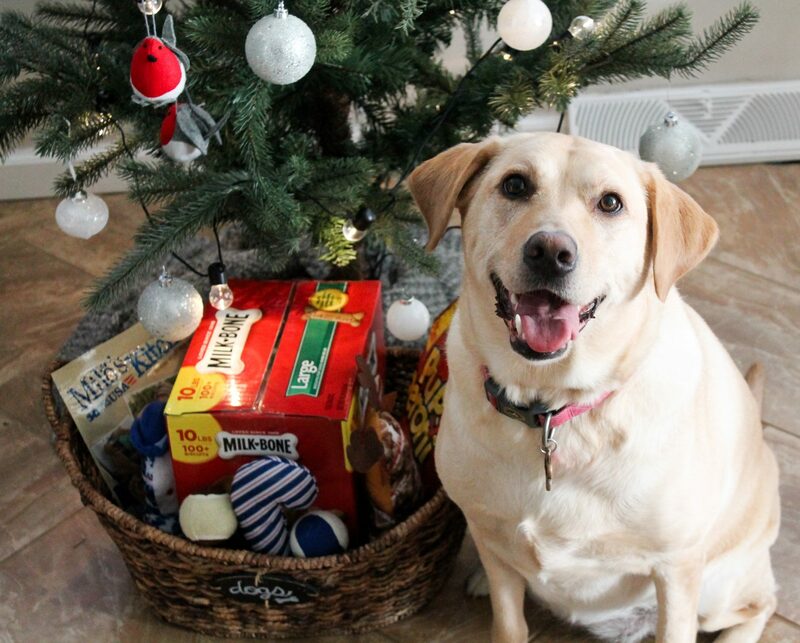 We decided to create a holiday gift basket for our dogs to remind them how loved they are and to hopefully make them feel special. It has been awesome to watch the relationships between our boys and pups blossom, especially over the last year. Whether they’re playing in the yard or snuggled up on the couch when one of the boys isn’t feeling well, the bond is visible and it runs deep. Emma and Teddy truly complete our little family and I can’t imagine our lives without them. 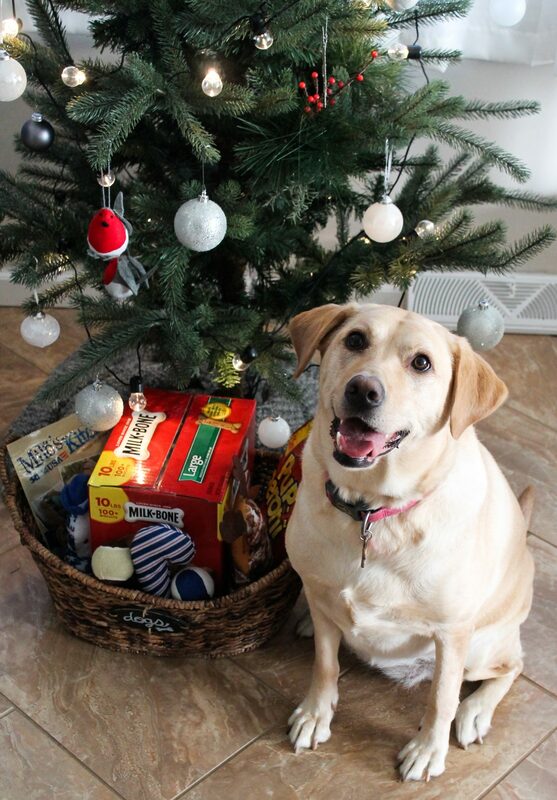 When it comes to buying gifts for our fur babies, we always start in the same spot…….the treat aisle. 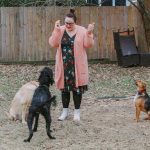 In our house there are a few must haves when talking about dog treats. The first thing that made its way into our cart was a 10 pound box of Milk-Bone Original Dog Snacks. I don’t think there is a more classic dog treat on the market, and they are perfect for dogs of all sizes. We love the fact that they help to clean our dog’s teeth and are vitamin enriched. 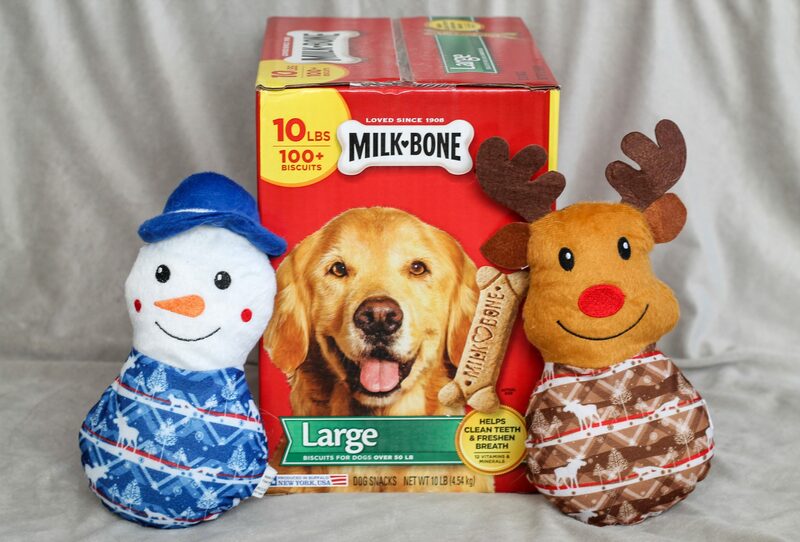 These facts coupled with knowing they are made right here in America makes Milk-Bone a perfect treat to reciprocate the unconditional love our pups show us, all year long. 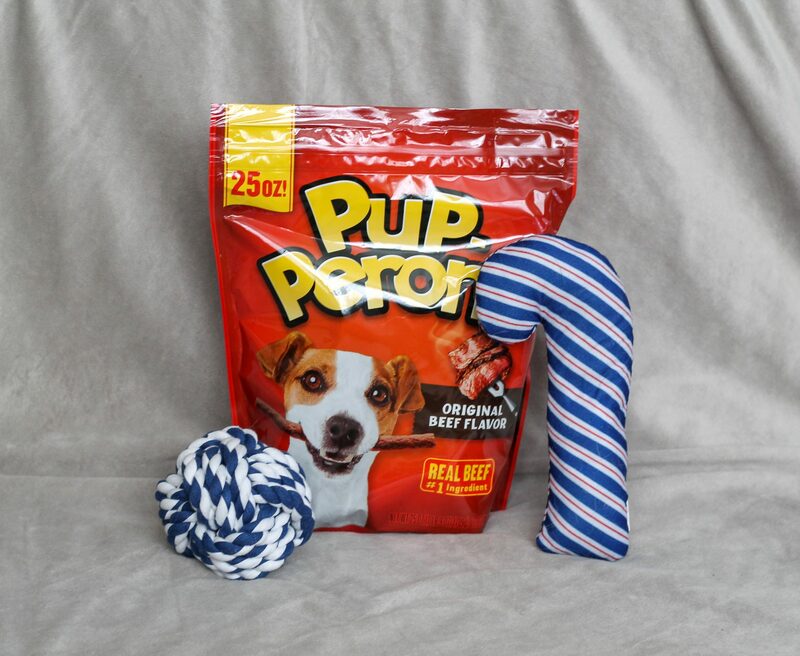 The second item we picked up is a pouch of Pup-Peroni Original Beef Flavor. Pup-Peroni is our favorite treat to take on the go. It’s the perfect reminder to our pups that they are being good in the car or listening well at the park. With real beef as the #1 ingredient, Pup-Peroni has a mouthwatering aroma that our dogs simply can’t resist. 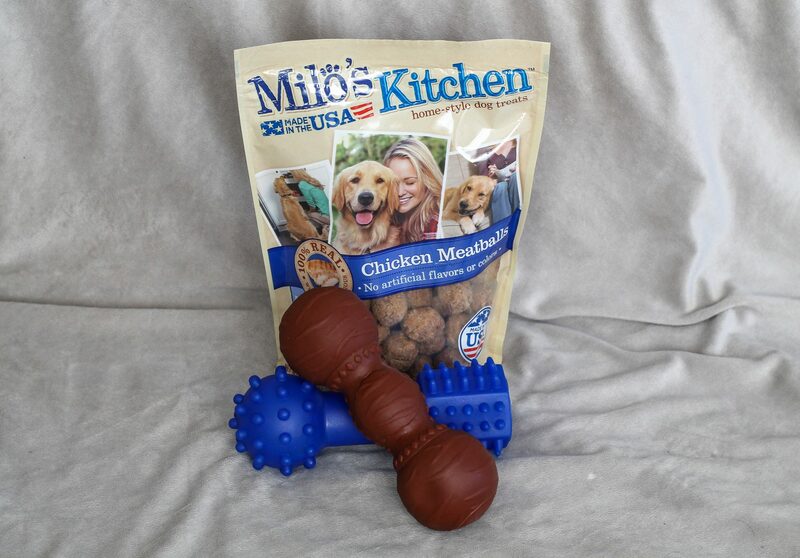 Our third choice was Milo’s Kitchen Chicken Meatballs. Milo’s uses real chicken as their first ingredient and are cooked to perfection with their homestyle recipe. Our pups drool over this savory treat and it allows us to share the love of the kitchen. 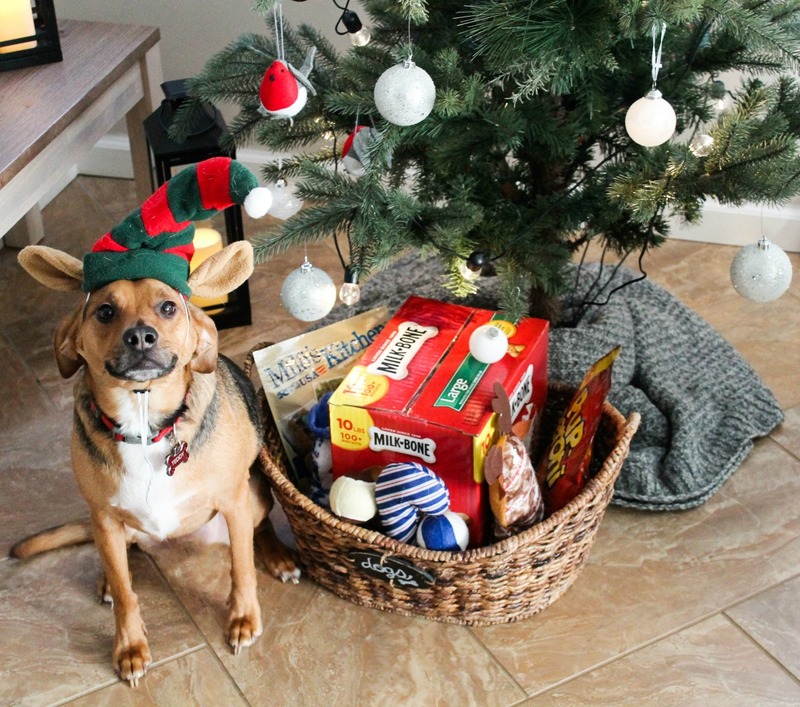 Now that we have our treats, it’s time to build our gift basket. 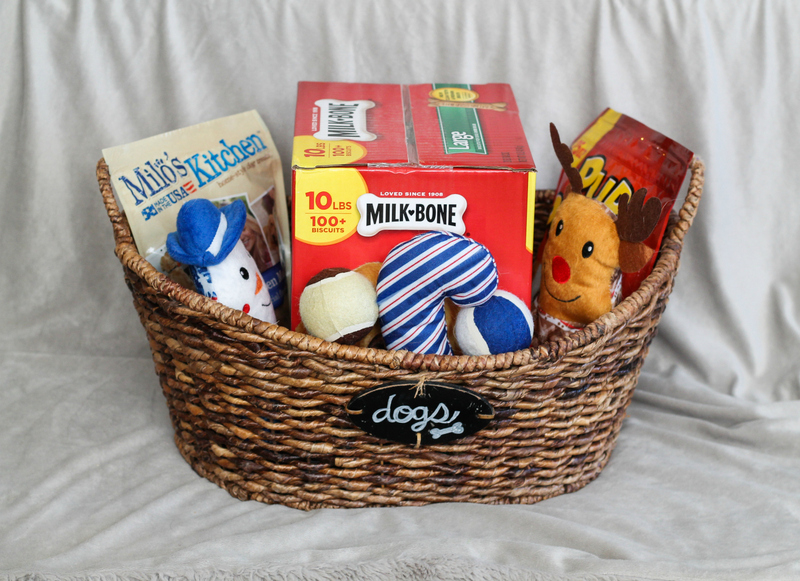 Assembling this special gift for your pups is simple, use a basket fit for gifting (we love this one because it’s got a cute chalkboard label on the front that you can personalize). 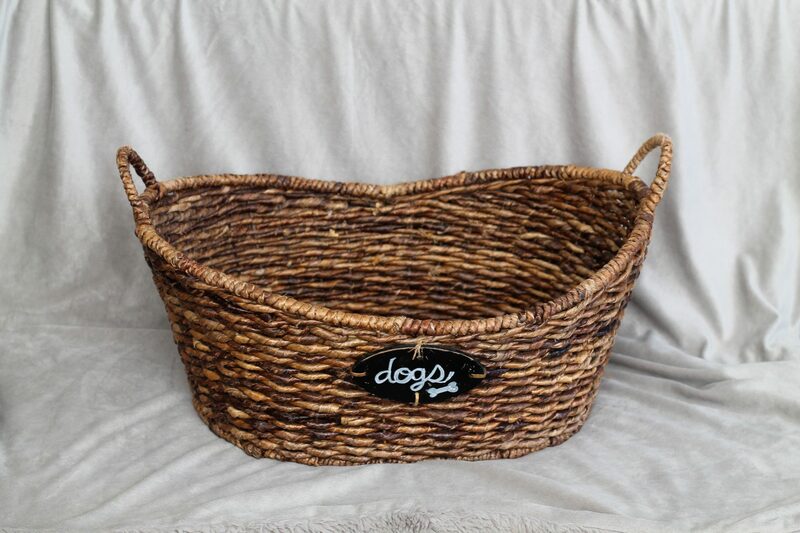 I love using large baskets for dog gifts because after the treats are gone they can be repurposed as a toy basket! 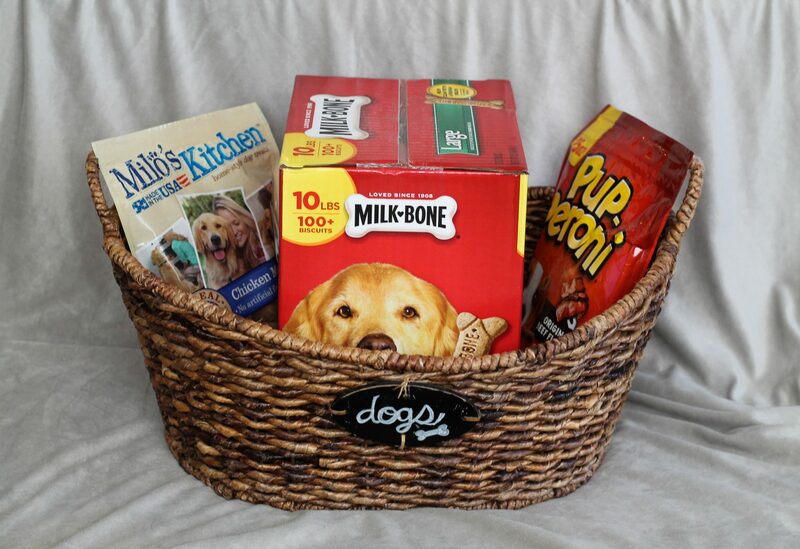 Once you’ve got your basket, layer in all of the treats you picked up at Walmart – your Milk-Bone, Pup-Peroni, and Milo’s Kitchen goodies. 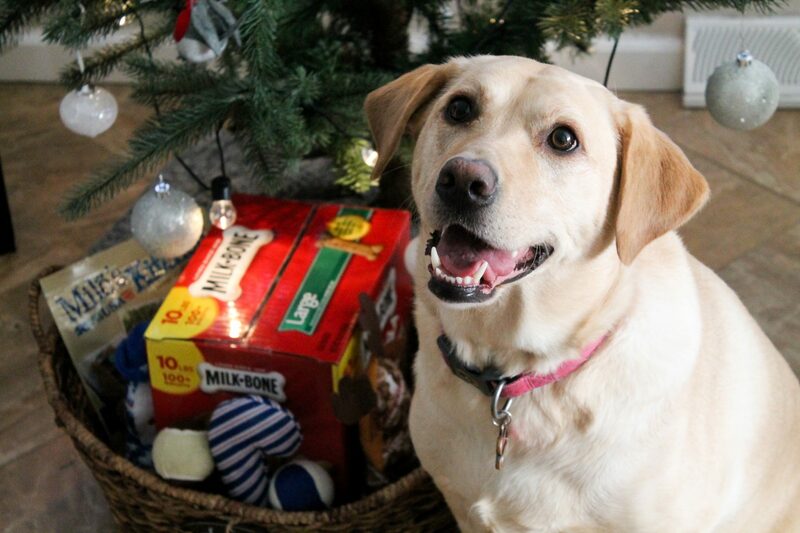 Once you’ve got your treats in the basket, it’s time to surround them with toys! When shopping for toys, just choose things you know your dog will love. 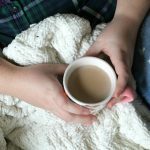 I know that both of our dogs love soft toys that they can snuggle, so we picked up a few to include in this fun gift! Once your basket is filled, it’s ready to be gifted! 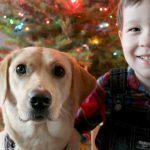 Our pups knew exactly what we were up to so we had to give them a few treats for being such good sports, but I can’t wait for them to receive the rest this holiday! Aren’t they adorable? We sure do love our pups! 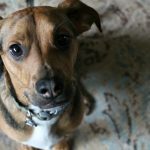 If you’re planning on putting together a gift for your dog this holiday, be sure to check out this landing page where you can shop all of the yummy treats we mentioned in this post! 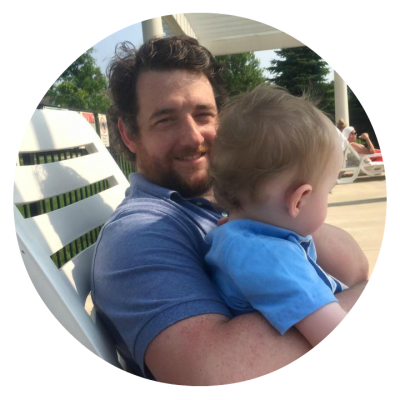 William Rayburn is a stay-at-home dad who loves to spend time with his family, cook, watch sports, and blog.